Stan Lee Confirms Black Widow Standalone Movie? Is the long-desired Black Widow solo movie finally going to happen? If Stan Lee is to be believed, it sounds like that may be the case. 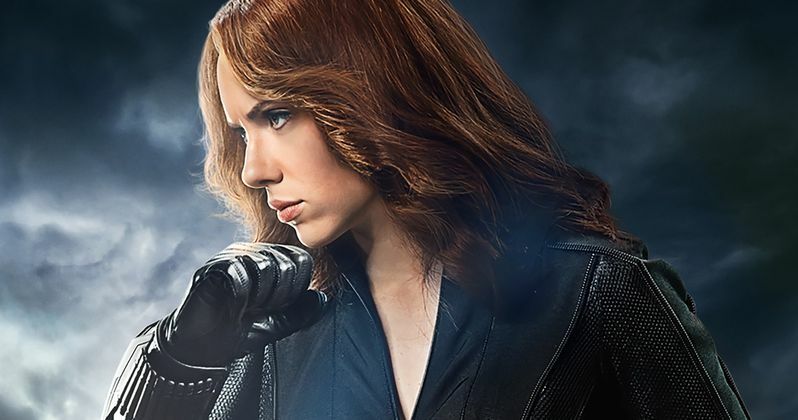 Don't get your hopes up too high just yet, but at a recent convention appearance, the Marvel Comics legend seemed to confirm that the Black Widow movie will happen. He didn't indicate when, but he seems fairly confident that the project will make its way to the big screen. The 94-year-old Stan Lee was recently a guest at the Supanova Comic Con in Brisbane, Australia. During the Q&A portion of his panel, Lee was asked about the possibility of a Black Widow solo movie. His response started teasingly with, "funny you should ask that." He then proceeded to confirm, to the best of his knowledge, that the movie is going to happen. One day. Here's what he had to say about it. "One day there will be a Black Widow movie." While this may not be 100 percent, take it to the bank confirmation, it sounds like Kevin Feige may be planning to get Scarlett Johansson her own movie during Marvel's Phase 4. He's promised in the past that the Black Widow solo movie will happen. He's just never said when. Assuming Natasha Romanoff makes it out of Avengers: Infinity War and Avengers 4 alive, it certainly seems like it finally may happen in the next few years. Scarlett Johansson has expressed her desire to do a Black Widow solo movie, but she's also said it would need to be under the right set of circumstances. She doesn't want to just do it to do it. It'd be better not to do one than to do one that was anything less than great, seems to be her stance. Thor: Ragnarok director Taika Waititi recently expressed interest in possibly doing a Black Widow movie, but with more of a comedic take, as opposed to doing something gritty and serious, which is probably what the majority of fans might expect. By the time Avengers 4 wraps up, Scarlett Johansson will have played Black Widow in seven movies. There's a chance she may not even want to do one after all of that, but who knows? Also, let's not forget that, just a couple of months before Marvel Studios officially announced Black Panther, Stan Lee made a similar comment at a convention about T'Challa getting his own movie. So maybe this report from Comicbook.com has some weight to it. We'll probably have to wait a while for a formal announcement, but don't surprised if Phase 4 finally includes the Black Widow movie we've been waiting for.